I wanted to give a big thanks to the neighbor who dropped off a small gift the day after Halloween! 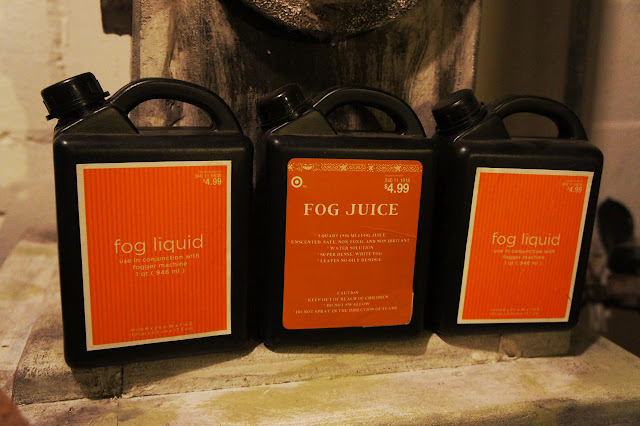 After the big night, I came home from a long, exhausting day at work only to discover 3 quarts of fog juice on my front doorstep! An unexpected surprise, to be certain. It's super cool that our neighbors recognize AND appreciate what we do each Halloween and leave tokens like this. And it definitely motivates me to keep working and go even bigger next year!! We are very fortunate to live in such a cool neighborhood with great neighbors who love to celebrate the Halloween season with us. Thank you again, to our mystery neighbor!! Your gift will not go to waste at our cemetery! !